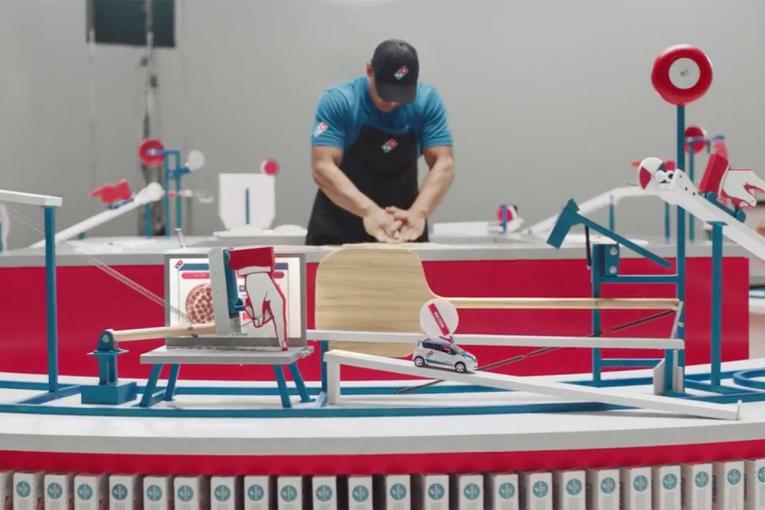 Domino's is launching advertising for a product its customers cannot buy. 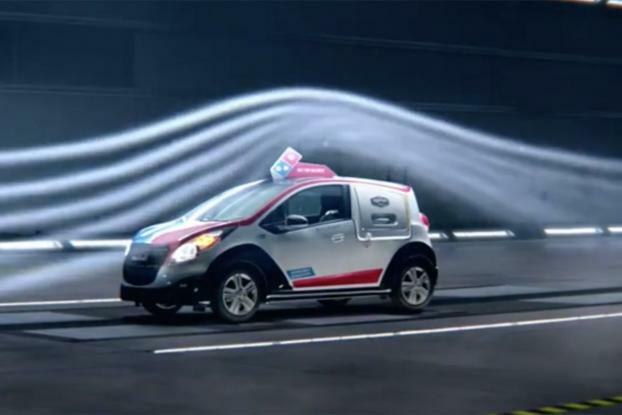 The restaurant chain's new campaign showcases DXP, the specialty "delivery expert" car Domino's rolled out in October. It is promoting the use of the cars with commercials that humorously play off auto advertising. In one, the car races across the desert. In another, an authoritative voice-over explains some of the vehicle's unique features as a guy in a white lab coat gives it a once over. It is too soon to say whether the cars, with their bright Domino's logos and unique look, will have an impact on sales, but they are being noticed. 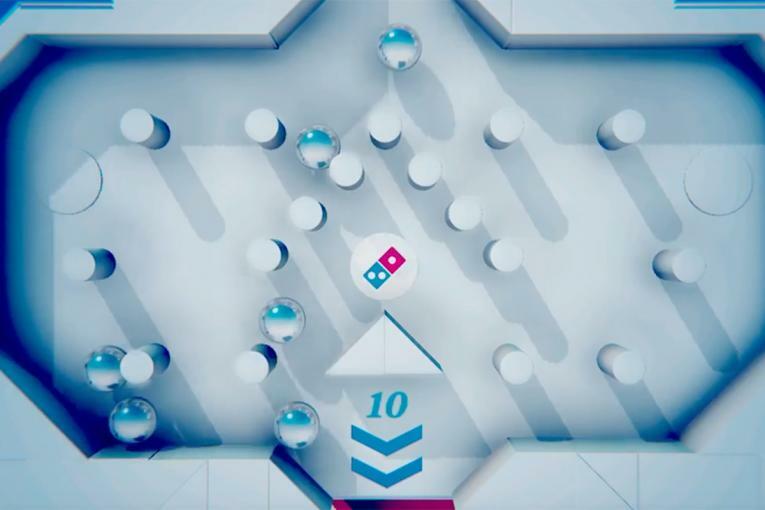 There are 97 DXPs on the road after the fall launch, and demand from franchisees is strong enough that Domino's plans to build another 50 or so this year, said Chief Marketing Officer Joe Jordan. "It's a tangible example of the fanaticism we feel as a pizza delivery company," Mr. Jordan said. "We really did do this. This is a dedicated, purpose-built pizza delivery car." "We knew we wanted to pull from the conventions of car advertising and insert our brand story," said Matt Talbot, VP-exec creative director at CP&B. The agency has been Domino's agency of record since 2007 and its client roster also includes an actual car brand, Infiniti. 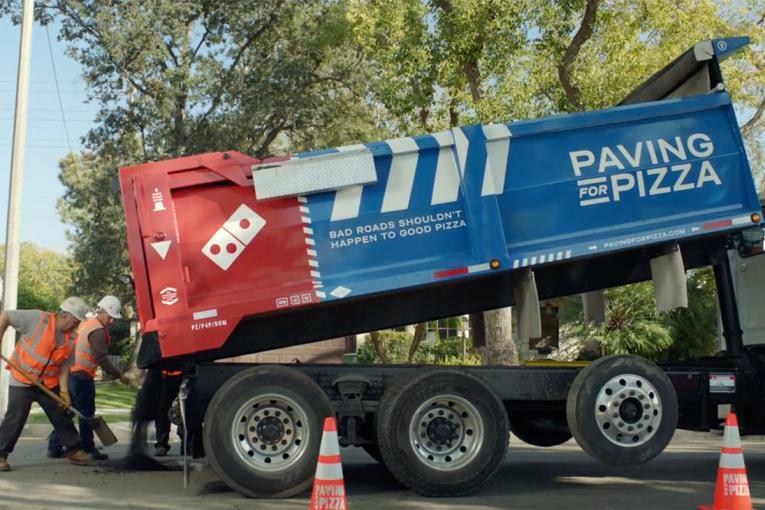 Promoting the car is the latest part of Domino's push to show consumers how everything from emoji ordering to a delivery vehicle with a built-in warming oven can improve the pizza ordering process. "Dominos is a technology company disguised as a marketing company disguised as a pizza company," J.P. Morgan restaurant analyst John Ivankoe said in a recent research note. Domino's has long been a leader in pizza delivery and trying new ways to improve the process, such as its Heatwave bags to keep pizzas warm. In 2012, the company launched its Ultimate Delivery Vehicle competition as another way to improve the delivery process. A commercial at the time showed CEO Patrick Doyle asking delivery drivers what ideas they had. One asked for an oven in the car. Another suggested a tank. A contest will award one of the tricked out vehicles to a store owner chosen from finalists that get the most votes from consumers in the coming months. The car costs about $25,000.